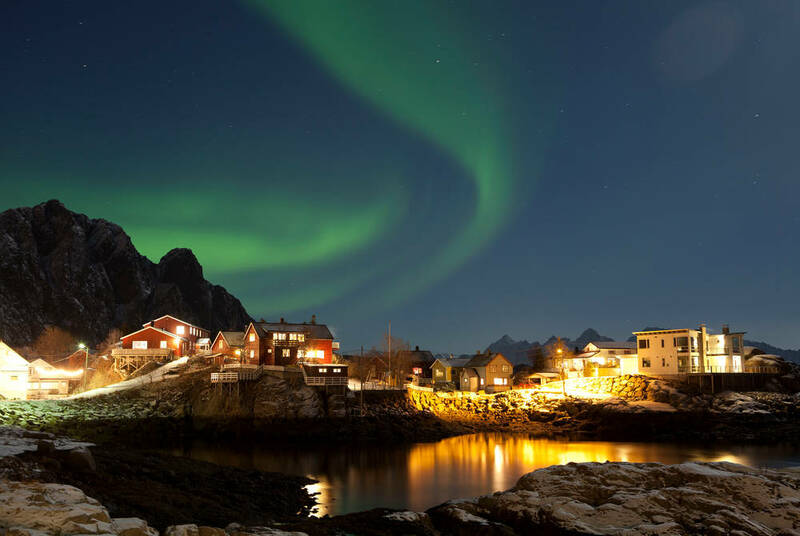 Marry the dramatic beauty of Arctic Tromso and the mountainous Lofoten Islands with a Hurtigruten cruise and a pair of unique, Northern-Lights experiences. Bringing with it both spectacular seasonal colours and some of the best Northern-Lights viewing, Norway’s Arctic north comes to life in autumn. 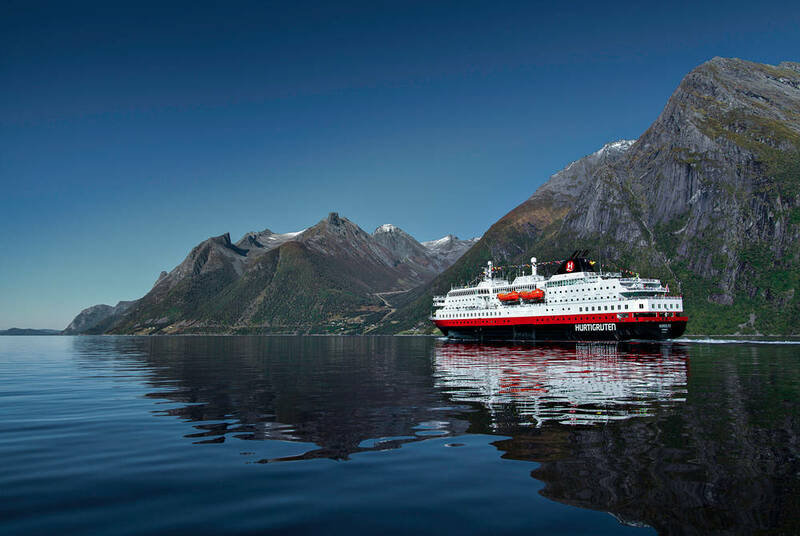 And, on this curated itinerary, you’ll cruise along the cragged Norwegian coast with Hurtigruten, stay in a timber cabin in the dramatic Lofoten Islands and explore the fjord-side spectacle of one of Europe’s northernmost cities. We’ve also included a pair of Northern Lights excursions, taking in their sweeping greens with a husky hike and a guided tour. 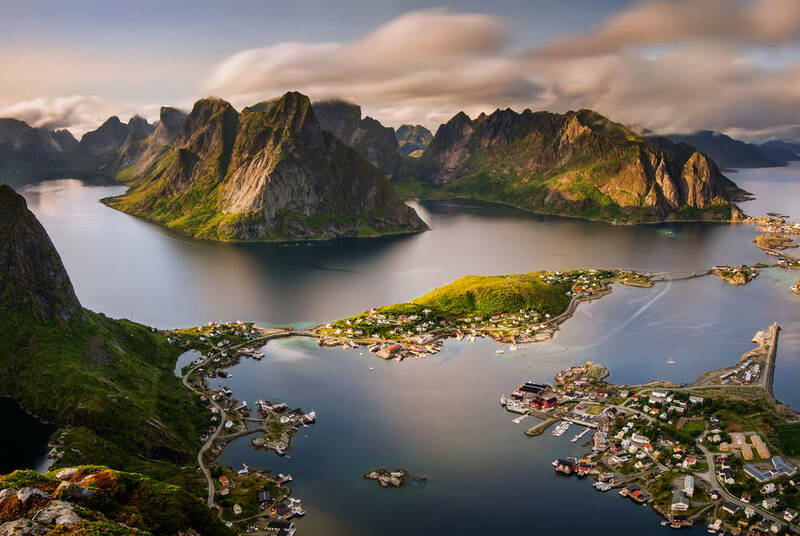 Flying out to Svolvær Airport, you’ll be treated to spectacular views over the Lofoten Islands, landing on a peninsular airstrip on the coast. An included transfer will then see you to Svolvær, a quaint port town where you’ll stay in a traditional fisherman’s cabin on the quayside. 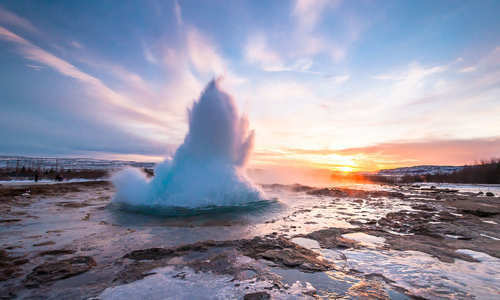 You’ll then have three days to explore, with everything from fishing expeditions to hikes and kayak trips showcasing the dramatic beauty of the archipelago mountains. 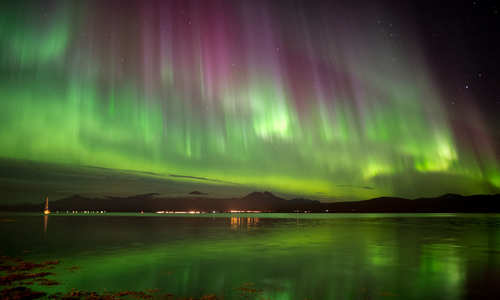 We’ve also included a Northern Lights hunt. 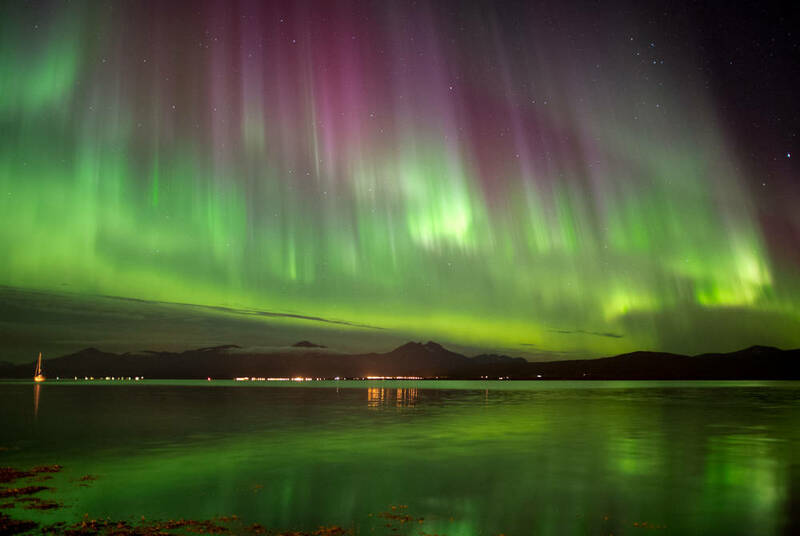 Based on the evening’s forecast, a local expert will bring your small group out to the best possible site to catch a glimpse of the aurora, teaching you a little about this natural wonder and how best to photograph it. 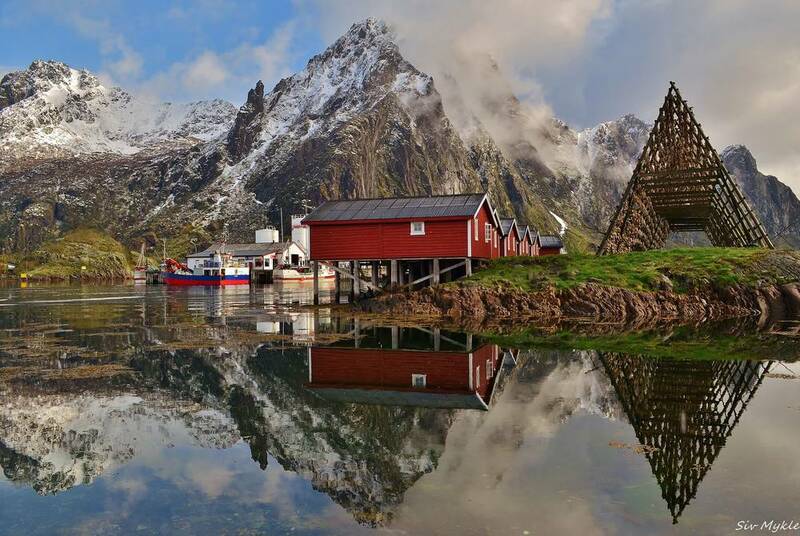 Today, after breakfast, you’ll have some further time to take in the Lofoten Islands’ myriad delights. Perhaps dip into the local art galleries, soak up the fishing-village charm or head out in search of sea eagles on a boat cruise. It’s all set to a backdrop of those great, kilometre-high mountains. 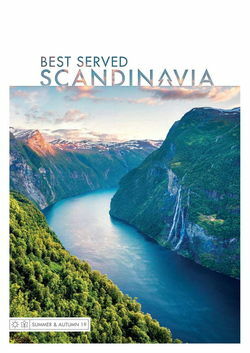 Then, come the evening, you’ll board your Hurtigruten cruise ship, enjoying a dinner of local delicacies as you trace the cragged Arctic coast on your journey north. It’s a truly evocative experience, sailing aboard what is still a postal ship. 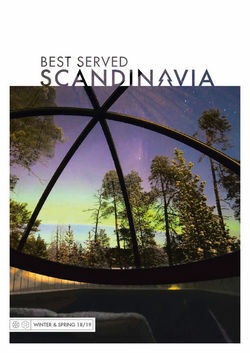 Following a night in your cosy cabin you’ll arrive into Tromso, settling into your attractive fjord-side accommodation. As Norway’s Arctic capital, this quiet mountain-framed town offers plenty of adventure, including fjord cruises, spectacular cable-car rides and museums on the region’s explorers’ past. Then, come the evening, we’ve included a Northern Lights husky hike. 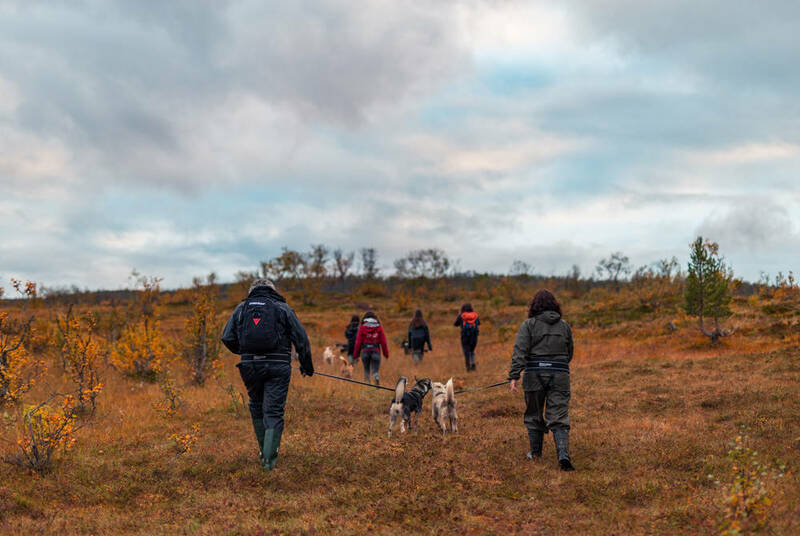 You’ll be brought out into the surrounding islands to meet the dogs themselves – puppies and all – before taking a few out for a hill walk. 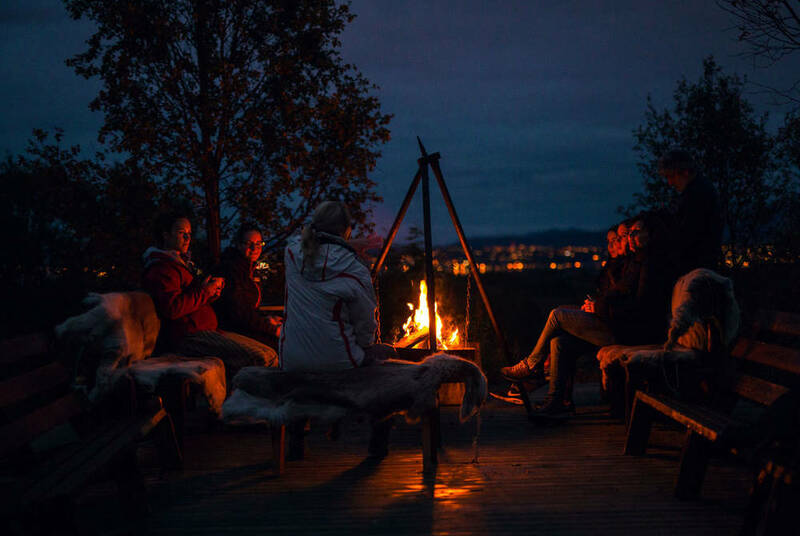 Between the huskies and your local guide, you’ll be brought among the season’s kaleidoscope colours before settling down for a fireside dinner, served in a traditional Samí tent and – hopefully – under the Northern Lights’ spectral dance. 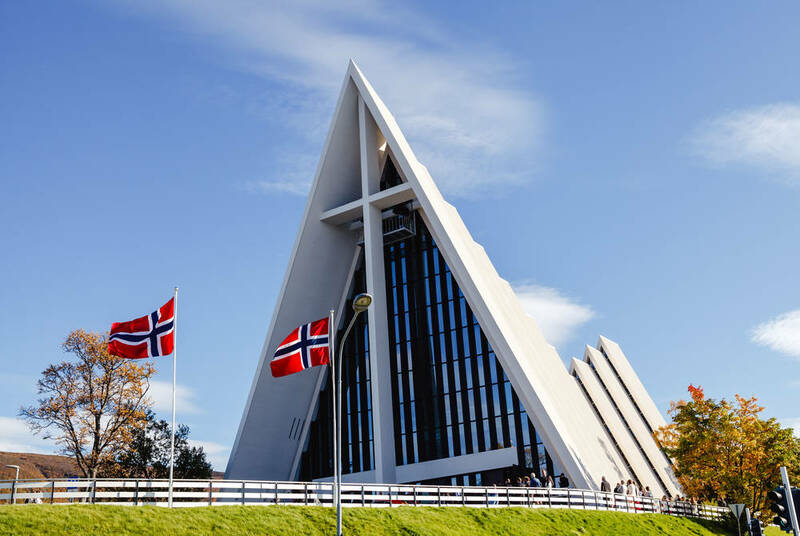 Depending on your flight time, you might have some more time to explore Tromso today before making your way to the airport for the last leg home. 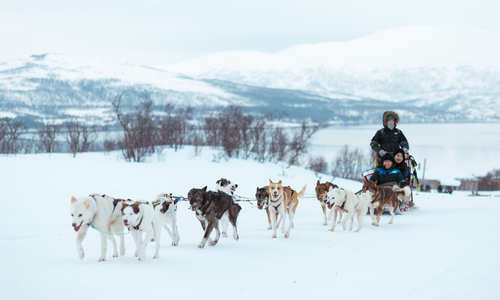 Best Served specialist Henry Pritchard reports back from Norway's Arctic capital after an action-packed weekend of huskies, reindeer and a trip to the Tromso Ice Domes.